I still can’t believe my hockey team, the St. Louis Blues, lost to that upstart Nashville team whose logo is a cross between a cat and a beaver with really bad teeth problems. But that was the other post for today. I am probably going to kick the bucket soon. I hate that bucket. I just don’t like it. But in spite of impending doom for me and the world in general, I am making some changes. After all, life is change. We can either change or be dead. And I am definitely not going to kick that bucket today, no matter how grumpy its existence makes me. 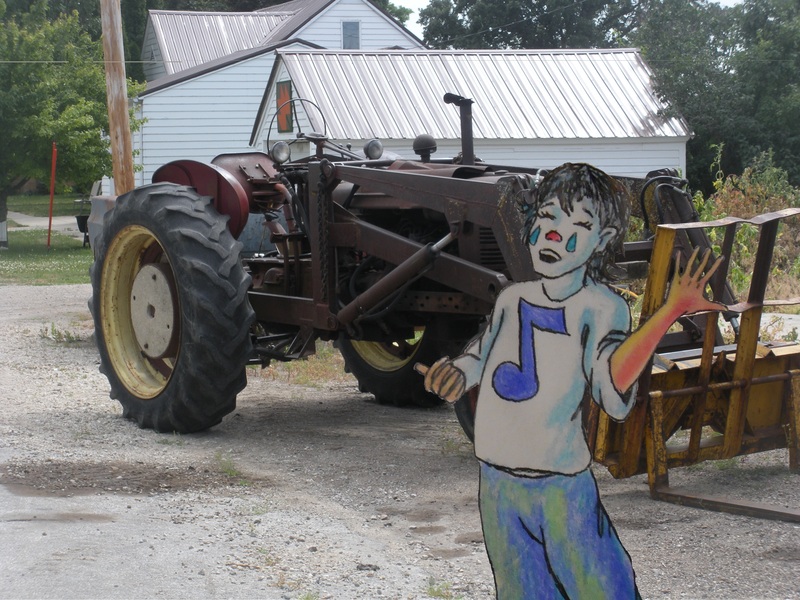 One change I have made is in Toonerville. I finished snowing all over Al’s General Store. I added two kids and their cat on the bench outside (in short pants during a winter scene… stupid kids) and fat old Huckleberry Wortle on the front steps looking for someone to play checkers with and tell lies to. But don’t offer to be the one playing checkers with Huck. He’s a conservative Republican with Tea Party leanings, and he will tell you things about Obama, government, and people in general that will make you so mad that you will want to go to the bench and kick the kids’ cat. Toonerville is undergoing a winter renovation. If I ever get to rebuild the layout, it will now have snow where grass used to be the plan. It is still temporarily in storage on streets that are really book shelves. And the Trolley goes nowhere. I have also been experimenting with shifting focus, as you can tell by the blurry trolley and track light in the foreground. In addition to photography, I am making changes to my publishing directions. I recently bought a subscription to a video-editing program and now intend to inflict Mickey-made videos to my blog. To be completely honest, I made the purchase at the begging of my daughter who was using the free trial for a school project and ran out of free before she ran out of ideas. Sound genetic to you, does it? I have been forced to make publishing changes. I am almost done paying the huge penance for publishing Magical Miss Morgan with Page Publishing. That is a mistake that won’t be repeated. I will self-publish from here on out. 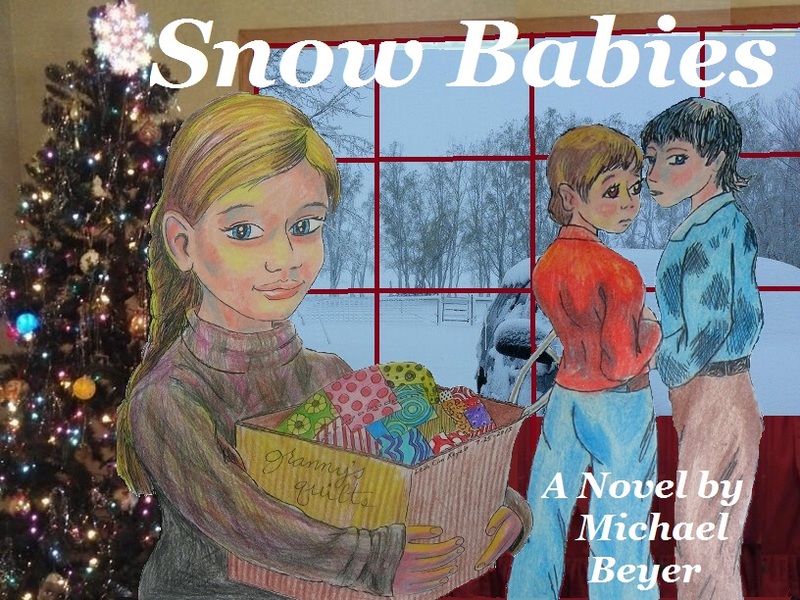 After MMM, I will attempt to publish Snow Babies via Amazon. My current manuscript, The Baby Werewolf, is undergoing forced changes as well. The primary factor here is my unique ability to lose things all together. Two of the three parts of the original hand-written manuscript are now missing, and have been since we moved to Dallas in 2004. Bummer. Coatimundies from South Texas are probably reading it, laughing up a storm, and cursing me for not having lost part three along with the rest of it. They surely can’t wait to find out what happens. But since I have to do it all from memory, it will be different from what they read. And even though writing a blog post every day is hard, I have decided it is worth it to continue. After posting every day for thirty consecutive months, I have learned that the practice not only sharpens my basic writing skills, but also generates more ideas than it consumes. I am a writer because I write. And continuing to write makes me even more of a writer. So the madness will continue. When conservative cultural warriors, Twitter Trolls, or dyspeptic gasbags like Rush Limbaugh call you a “Special Snowflake”, I have discovered, to my chagrin, that they don’t mean it as a compliment. In their self-centered, egotistical world you have to be as emotionally tough and able to “take it” as they believe (somewhat erroneously to my way of thinking) they themselves are. They have no time for political correctness, safe spaces, or, apparently, manners polite enough not to get you killed on the mean streets where they never go. Being a retired school teacher who was once in charge of fragile young psyches trying to negotiate a cruel Darwinian world, I think I disagree with them. Have you ever tried to draw a snowflake? Believe me, it is difficult. Snowflakes are hexagonal star-shapes with enough lace and filigrees in them to make it a nightmare to draw it with painfully arthritic hands. The one above took me an hour with ruler and compass and colored pencils, and it still doesn’t look as good as a first grader can create with scissors and folded paper. Much better to use a computer program to spit them out with mathematical precision and fractal beauty. That’s how all the tiny ones in the background were created. But even a computer can’t recreate the fragile, complicated beauty of real snowflakes. You see how the fragile crystalline structures will break in spots, melt in spots, attach to others, and get warped or misshapen? That is the reason no two snowflakes are alike, even though they all come from the same basic mathematically precise patterns generated by ice crystals. Life changes each one in a different way. And that, of course, is the reason this essay is really about people rather than mere physical artifacts of cold weather. Our fragilities and frailties are earned, and they make us who we are. I have a squinky eye like Popeye from playing baseball and getting hit by a pitch. I have a big toe that won’t bend from playing football. They both represent mistakes that I learned from the hard way. As a teacher, I learned that bipolar disorder and anxiety disorders are very real things. I lost a job once to one of those. And I spent a long night talking someone out of suicide one horrible December. Forgive me, I had to take fifteen minutes just there to cry again. I guess I am just a “special snowflake”. But the point is, those things are real. People really are destroyed by them sometimes. And they deserve any effort I can make to protect them or help them make it through the night. But people are like snowflakes. They are all complex. They are all beautiful in some way. They are all different. No two are exactly the same. And I really think boorish bastards have no right to insist that we need to take safe spaces and sanctuaries away from them. Every snowflake has worth. Winter snow leaves moisture for seedlings to get their start every spring. If you are a farmer, you should know this and appreciate snowflakes. And snowflakes can be fascinating. Even goofy ones like me. My life always seems to come down to snow. It is a theme that runs through my little teacher-life, my little story-teller-life. Did you know that I was born during a blizzard? Mason City, Iowa was snowed in during the November blizzard of 1956 when I was born, on this date in the wee hours of the early morning. Some of my most vivid memories happened in the snow. There was that night when I was eleven and snow was falling heavily as choir practice at the Methodist Church came to an end. The walk home was more difficult than I had anticipated when I started out. The entire front of me was plastered with snow as I leaned into the wind and trudged like some kind of plodding living snowman. I got as far as the Library on Main Street when Mrs. Stewart and Mrs. Kellogg called me into the library to thaw out. They called Mom and Dad to come the three blocks from home and pick me up. But Alicia Stewart was there. The most beautiful girl in all of Rowan, as far as my young heart was concerned. She sat in the row across from me at school. I am fairly certain that my Math grades were so poor mainly from the time I wasted watching her sharpen her pencils and turning the pages in her textbook. I had my Russian snow hat on that night and the ear flaps were pulled down. I had the little bill on the front of the cap pulled down to shield my eyes, and it was caked and dripping with snow as I entered the library. Alicia pulled up the bill of my cap and looked me right in the eye. “Michael, you are so funny,” she said. That smile she gave me that snowy night warmed my heart, and drove the cold out of even my frozen toes. I still keep the memory of that smile in my heart to this very day, in a drawer where nobody can find it, and I haven’t really ever told anybody about it until here and now. And snow keeps coming back to find me, even now that I live in Texas where snow is much more of a rare thing. On February 14th, 2003 in Dallas we woke up to another heavy snow flurry. The people I love most in the world were enthralled. My wife squealed like a little girl. She is from the Philippines and she told me she had never really seen the snow falling before that day. My three kids were awake and romping in the snow almost from first light. The gently falling snow was beautiful, though it was a bit damp and clumpy, falling like goose feathers from a pillow fight, and easily forming into snowballs. We built snow men in front of Tatang and Inang’s house (Filipino for grandpa and grandma). Dorin, Henry, and Cousin Sally were throwing snowballs and random handfuls of snow at me and each other for most of the morning. The Princess, barely walking and talking at that stage of her young life, ate snow and played in it until her bare hands were red and hurting. She threw a crying fit when we had to force her into the house to warm up her hands. Even pain couldn’t make her want to leave the snow behind. I never loved snow that much until I got to see it through their eyes. I truly believe that one day in the near future the snow will come for me again. I will probably not be living in a place where snow is frequent, so it may not even be real snow. But it will come for me to take me away the same as it brought me to this life. Not real snow, but that obscuring snow that falls as your field of vision fills up with whiteness and purity and fades away. Being in poor health for several years now, I know that sort of snow all too well. I know it will be coming again. The magic of life comes and goes in the clear, cold beauty of snow. And all the warm tangles and troubles of life will be smoothed out under a blanket of pure, white, and cleansing snow. And he knew the secret of snow. 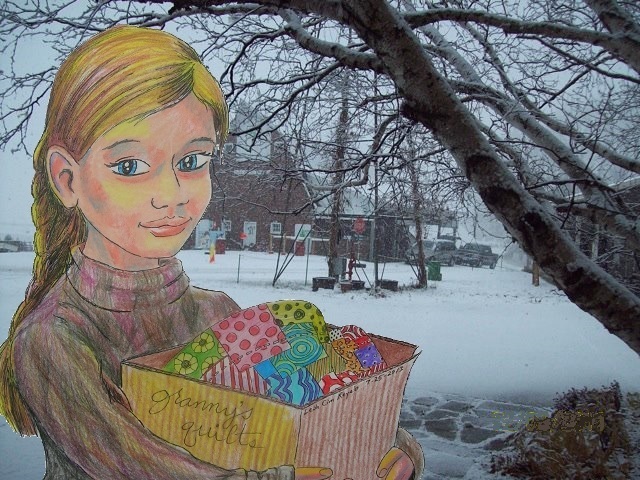 I am nearing the completion of my novel Snow Babies. The editor, Jessie Cornwell, sent it back to me with the third read-through completed. I am now closing in on a completed final draft ready to go to print. And I am posting this post to acknowledge that the character of the hobo with the quilted jacket for a coat is indeed me. Well, as close to being me as a fictional character who may or may not be an angel can come. I admit I am probably not as good as Lucky Catbird Sandman is good. 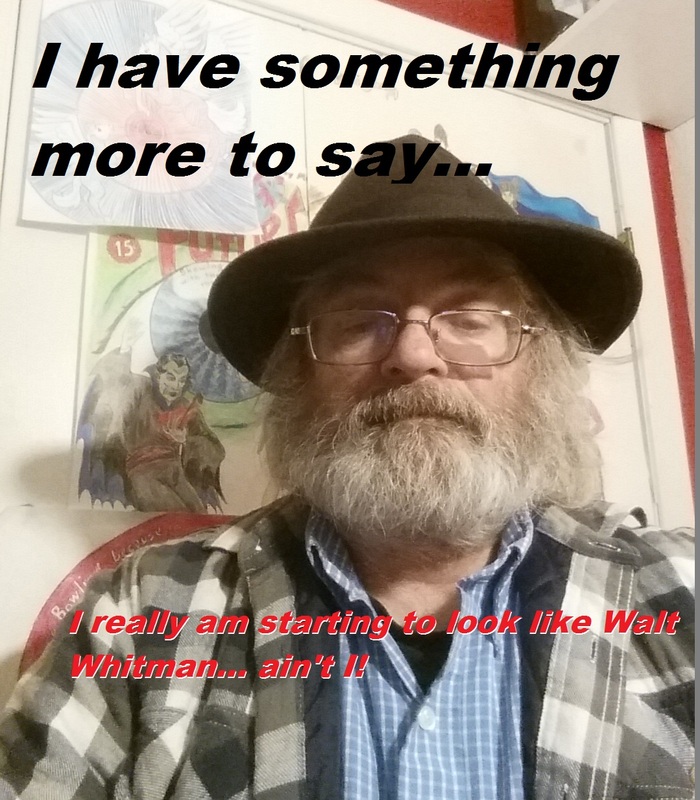 But I am a man who is basically a Walt Whitman-type poet-y sort of man in a cartoony sort of way. That is what the Catbird really is. He wears a coat of many colors which is made up of many varicolored patches. Each patch in the crazy quilt of his coat stands for a memory of the many people he has known and the problems he has solved. He helps the main character of the story, a small-town Iowa girl named Valerie Clarke, as her little town is besieged by a terrible blizzard. The Trailways bus is stranded near the town, and on the bus are four orphan boys, running away to nowhere and desperately needing the intervention of the angels to help them escape the lives they’ve left behind. Catbird spins miracles out of random things and random snatches of Walt Whitman’s poetry. He carries around a copy of Whitman’s Leaves of Grass, and he quotes from it like a Bible. So, he is a me-character because he was born in my goofy brain and represents no real person living or dead. He is more of a literary device than a man… just like me. And that is notable because all the other players in the story are based on real people that I have known, either in Iowa or Texas, real people who have been a significant part of my real life. I believe this is why the novel is the most important thing I have ever written. It is because, if I ever found any real worthy wisdom to spread around like jam on bread, it is to be found in this book. It is the best thing I have ever written and published. At least, so far. And the mysterious stranger character, the man in the coat of many colors, Catbird… is me. Judge for yourself if I am not like him. Superchicken, set in 1974, the first Home Town Novel that I completed. The Baby Werewolf (also possibly titled The Wolf in the Attic), set in the Fall of 1974, not yet completed. The Forever Boy, set in Spring 1975, not yet written in manuscript form. 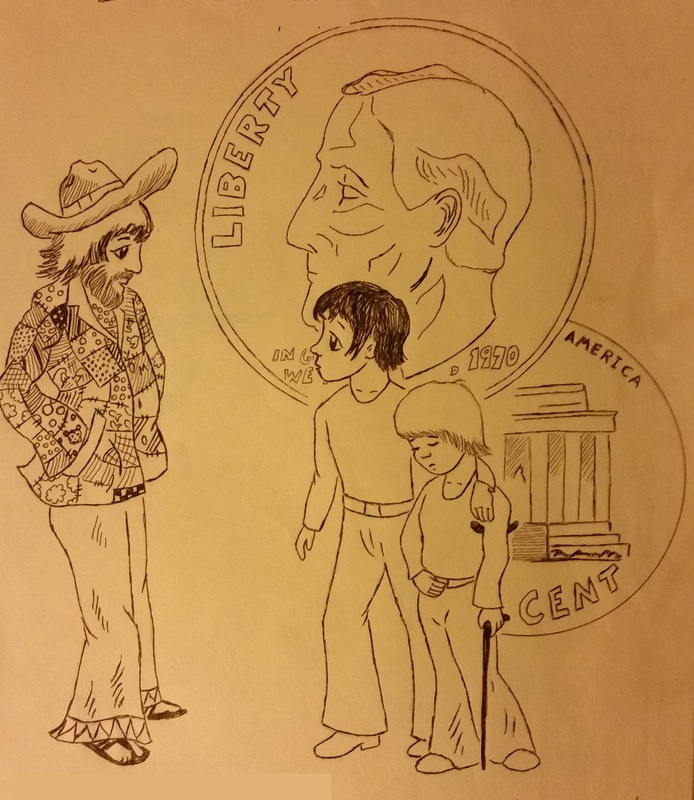 Sweet Pickles, set in the Fall of 1974 and Spring of 1975, half written, but possibly too graphic to publish. Under Blue Glass, set in 1977 and not yet written in manuscript form. When the Captain Came Calling, is set in 1983-84, the manuscript is currently at 25,000 words and being worked on. 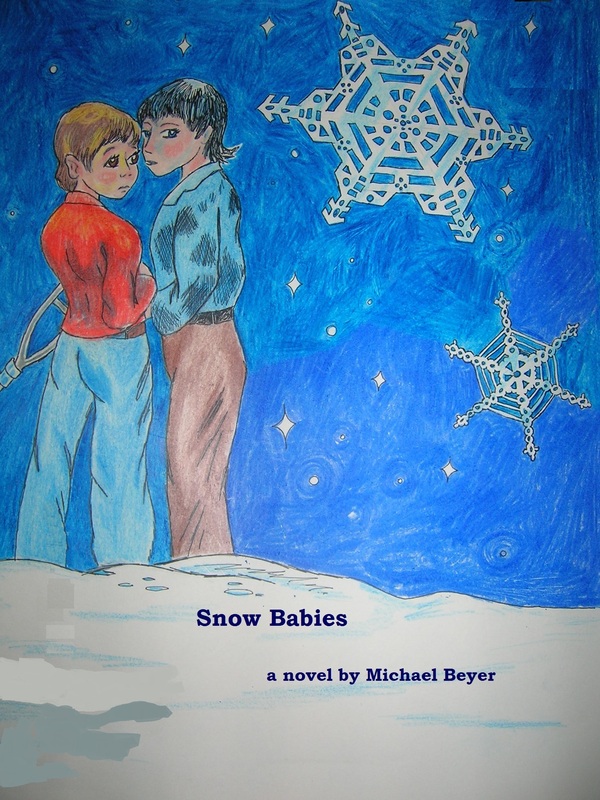 And the novel I am editing for publication this week, Snow Babies, set in the Winter of 1984. 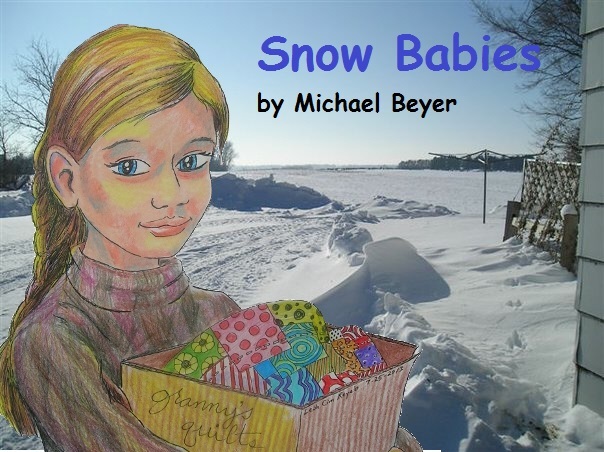 Snow Babies is the story of how the small town survives the raging blizzard and faces the prospect of freezing to death. Valerie Clarke, in the picture above, is the central character in a large cast trying to avoid being the one the snow spirits have come to claim. The second generation of Norwall Pirates, the boys’ club of dreamers, goofballs, and liars, have come to be led by a girl, Mary Philips and Valerie is the second girl ever to join the club. The next novel has undergone two transformations. It started as a book called Little Boy Crooner. It is about an orphan from France who comes to live with ne’er-do-well Iowegian relatives. Homesick and deeply troubled, the boy has discovered a natural talent for karaoke, and has a voice that people come from miles away to hear. Then, the clowns of the Dreamlands began invading this story and had to be renamed. 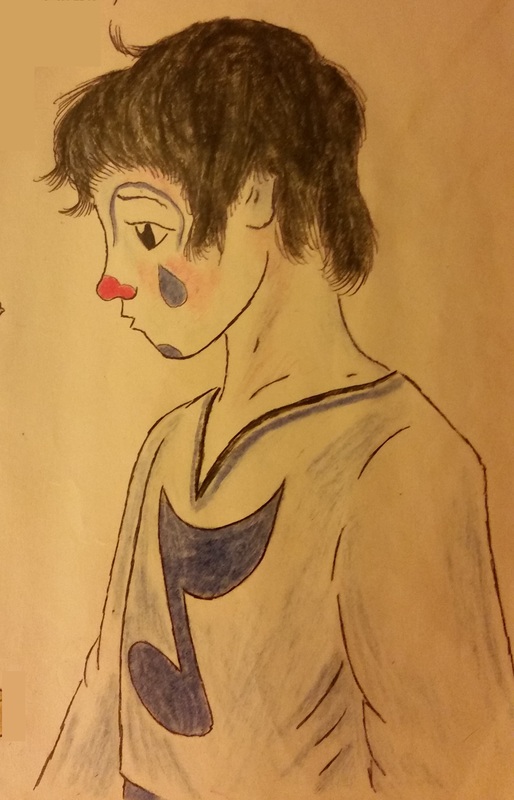 It is now called Sing Sad Songs… with Clowns. I may, however change the name to just Sing Sad Songs. Sing Sad Songs and the next novel in the series, Fools and Their Toys, happen at the same time in 1985-86. They not only share a setting and many of the same characters, but they share a villain and many of the same plot-shaping events. They are, however, very different stories. Fools and Their Toys is the story of autistic Murray Dawes. 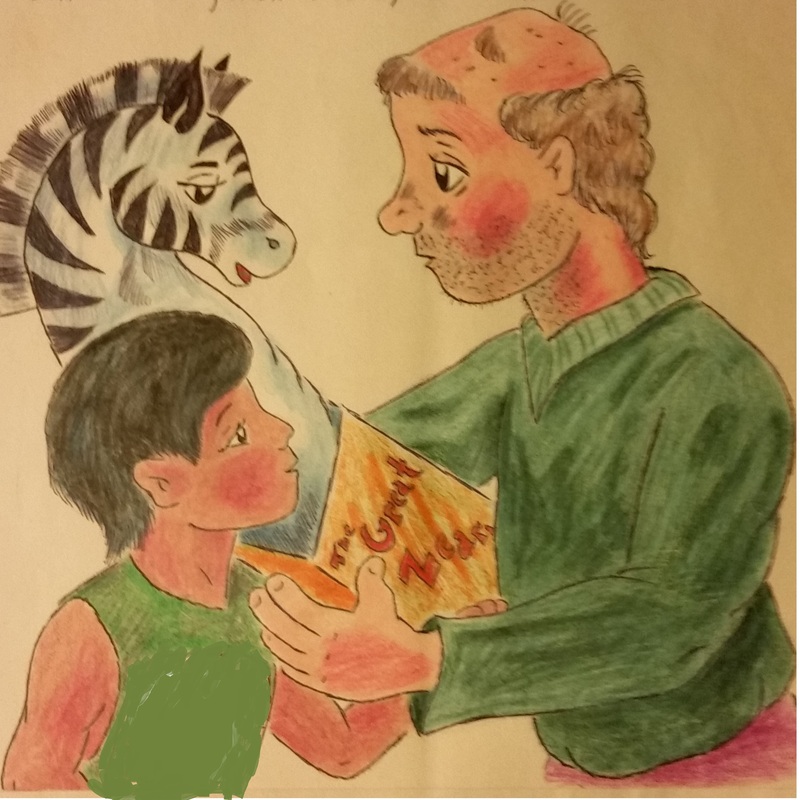 Because he has never really been able to communicate before, his turning point comes when a new member of the family, an adopted little brother, makes for him a ventriloquist’s dummy in the form of a zebra. He calls it Zearlop and uses it to unleash the hidden intelligence that was there through all those years when other people thought he was retarded. Unfortunately, just as Murray is blossoming, a serial killer comes along, targeting young boys. More unfortunately still, some from the area believe Murray may be the killer. Leadership of the Pirates is passed from Mary to Valerie. 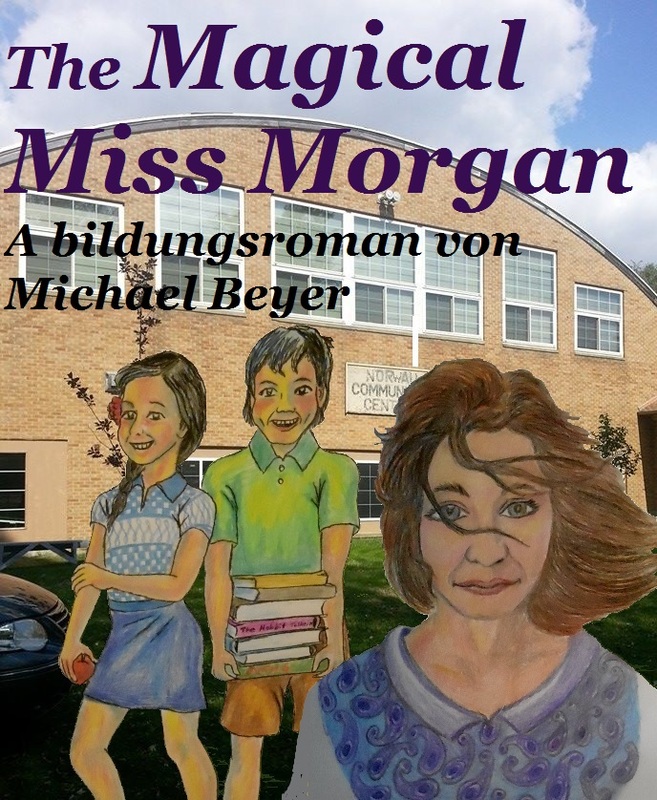 And in 1988 I have set my current contest novel The Magical Miss Morgan. Valerie passes the leadership of the Pirates to her highly imaginative and extremely annoying cousin Timothy Kellogg. Tim is a the second most important character in the story of the teacher, Miss Morgan, who loves to teach. Miss Morgan is the sister of original Pirate wizard, Milt Morgan. Because of her brother, she inherits responsibility for a local war between good and evil fairies, while at the same time trying to save her job from evil principals, parents, and school board members and teach a lesson or two worth remembering forever. This full manuscript novel is currently being judged for the contest, and will be submitted for publication after. 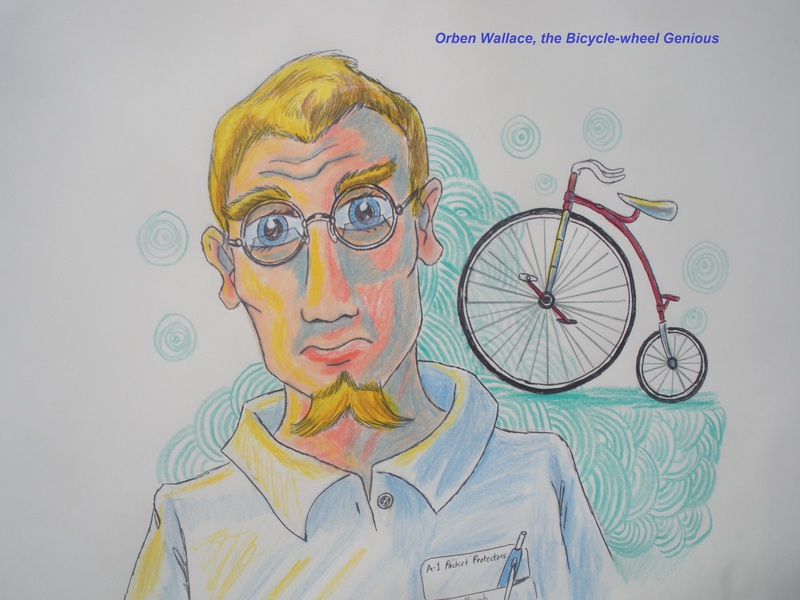 Tim Kellogg is one of two main characters in the next novel, The Bicycle-Wheel Genius. Orben Wallace, the inventor, is the title character who may have accidentally created a time machine. The novel is set in the years from 1988 to 1990, and it is about how the genius’ old inventions come back to haunt him as he tries to solve the problem of having invented a time machine, having worked on mysterious government projects, and having helped to fight off an alien invasion. This novel is also complete and merely awaiting the proper time to get published. Catch a Falling Star is the published novel that started this blog and my dream of making it as a novelist. 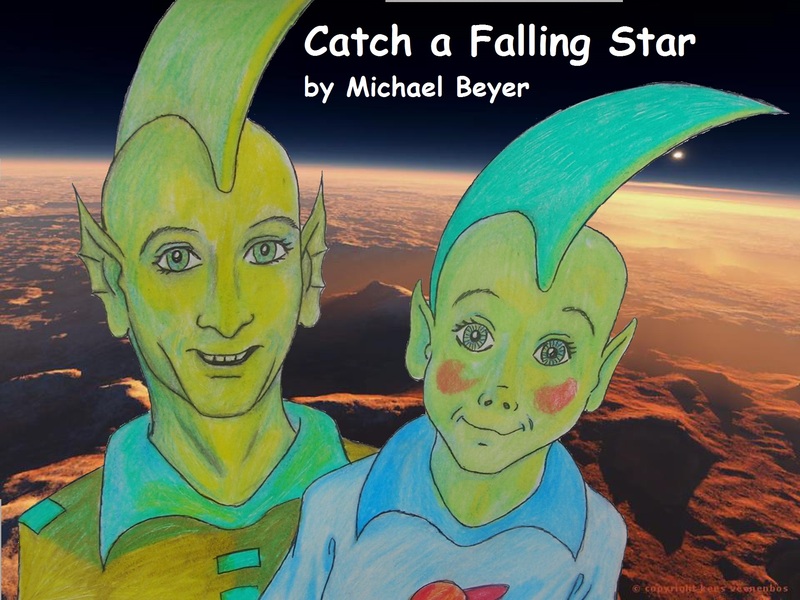 It is set in 1990 and tells the story of when the Telleron alien empire of frog-like fin-headed aliens fail to invade Norwall, Iowa because they hadn’t reckoned on meeting the Pirates.See Catch a Falling Star on Amazon here. I guess I leave it here for today. It seems there is enough more to fill another blog… Part 3.
because it is basically about lost children and a blizzard that threatens to take them away completely. Now, there are fantasy creatures in the story, child-like ghost-things that come in the teeth of the blizzard to take away the souls of those who die in the cold. But the title actually refers more to the child characters in the story, Valerie Clarke (as seen above) and the four runaways from the Trailways bus. It is a story of survival during a blizzard, and survival when you have lost the ones you love. It is also a story of quilts… patchwork quilts… of many colors and varieties all stitched together seemingly at random. Because that is what life is like. Random stuff. Stitched together…to make something beautiful that can save your life in the cold. This novel was submitted in manuscript form to the Chanticleer Book Reviews novel writing contest for Young Adult fiction. The contest is called the Dante Rosetti Awards as seen in this logo. The book didn’t win, but of the many manuscripts submitted it made it all the way through to the final cut and was a finalist in the contest. Let me leave you with a look at the frost spirits from my novel. I hope you don’t feel hopelessly mooned by that, because there are worse things that Snow Babies can do than that.